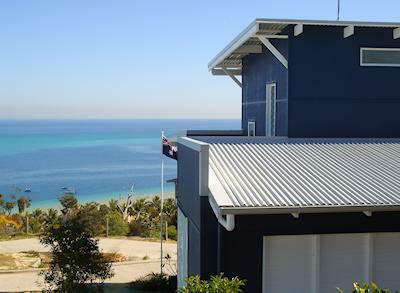 Blue Moon Beach House - a modern beach house with panoramic views of Moreton Bay, its beautiful beaches and the famous Tangalooma Wrecks. Relax on our fabulous deck and enjoy the constantly changing seascape with dolphins, turtles, seabirds, ships, pleasure craft and even the occasional whale passing by. Wander along the pristine white sandy beach stopping for a swim in the crystal clear waters. Take advantage of all the Tangalooma Wild Dolphin Resort facilities and activities, available to our guests and only 2 minutes from the house. For the more adventurous, bring your 4WD (or hire one from the resort) and explore our unique and beautiful Moreton Island. Huge stainless steel kitchen with a view to die for! 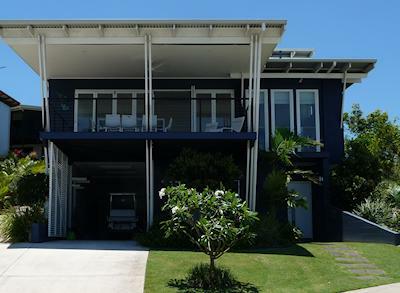 See more of the House in our Photo Gallery. 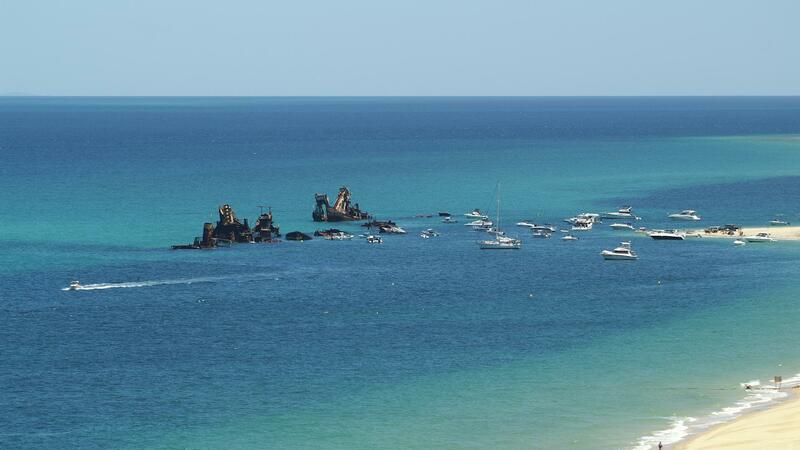 Moreton Island is approximately 40km offshore from the city of Brisbane, Queensland, Australia. You can travel to Moreton Island and Blue Moon Beach House in comfort onboard one of Tangalooma Passenger jetboats or you can bring your 4WD across on the Micat ferry. Copyright 2019. ACCELERATE your website.